This fast and easy 245 watt solar panel system employs microinverter technology to simplify design and installation. We're always looking for ways to make solar easier and more cost effective for homeowners. Independent minded customers are the inspiration behind our solar kits which provide quick and easy installation. 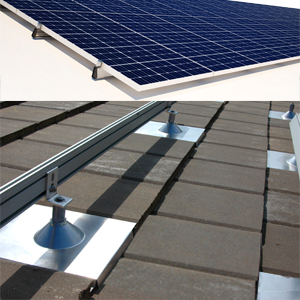 Add our Ironridge roof or ground rack option along with our AC coupling backup system for a complete solar solution. Our system includes a grid tied microinverter, Enphase cable drops with clips and end caps. Choose the system that best fits your available footage and budget knowing you can expand your kit at any time down the road. 3920W Enphase kit inverter is attached to the back of each solar panel which allows each panel to operate independent of each other. Enphase was one of the original inverter manufactures to create a panel level inverter that is fast, easy, safe to install and essentially plug-n-play. The microinverter is attached to the back of each solar panel which allows each panel to operate independent of each other. Each microinverter provides individual maximum power point tracking at the panel level. This advantage significantly reduces planning and performance obstacles such as shading issues or panels on different planes. If no such conditions exists, then the advantage over a central inverter does not exist. Each of the microinverters that makes up the kit integrates with optional Emphases network technology allowing you to monitor each panels performance throughout the day which is a very cool feature if you are a techie. 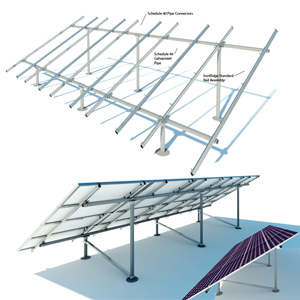 Install an NEMA3 combiner box at a suitable location on the solar racking system. You can center feed the branch, or you can install the combiner box at the end of a row of solar panels. Provide an AC connection from the AC combiner box back to the electrical utility connection using equipment and practices as required by the NEC and your local jurisdiction. Each of the microinverters that makes up the 3920W solar kit integrates with Enphase network technology allowing you to monitor each panel performance throughout the day. 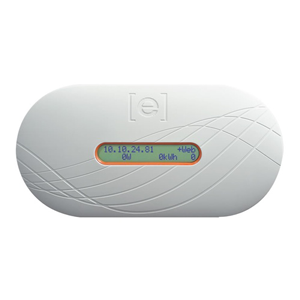 (Monitor is Optional) 3920W Enphase system monitoring capability be accomplished using the optional Envoy monitor by simply plugging into a 120 volt wall outlet. You can also track your solar production by using other different types of monitors, but most customers would opt for the Envoy monitor because you can read individual panel performance rather that the whole systems performance. Because you do not use a DC combiner with breakers, the cost of the microinverter VS a central inverter is offset somewhat. Finally a home solar package that matches the 25 year guarantee on the solar panels with a 25 year guarantee on the inverter. 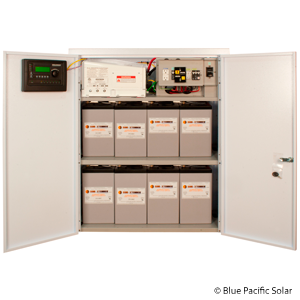 Blue Pacific Solar has done all the work for you with this efficient simple grid-tied home solar system. Following our simple line drawings you will end up with an NEC (National Electric Code) compliant home solar system with a life expectancy of well over 25 years. Required Number Enphase 240V Single Phase Cable Drops, End Caps and Connectors for Kit. In circumstances where we offer freight shipping, free or otherwise, that means dock to dock (not residential) to any of the lower 48 states. If the customer does not specify a local commercial dock that is available, we will ship to the nearest terminal where the shipment will be held for will call pick up by the customer. If you choose to have your order shipped to your residence, most orders require special handling for unloading and the pallet has to be transferred to a truck with a lift gate. In most cases, truck freight companies do NOT require their drivers to unload shipments. An additional "Residential" as well as a "Lift Gate" special handling fee will apply if the driver unloads the merchandise to the curb at your residence. The special handling fee is $89.00 and is available at checkout. If you have selected this add on service, the shipping carrier will call and schedule delivery of your solar kit, (provided the weight and dimensions of the product fits the criteria for lift gate service). You can avoid the residential and lift gate fees by arranging a "Will Call" pickup at the closest freight company terminal. In that case, you will need a pickup truck, a copy of the bill of laden, and a photo ID. When you arrive at the freight company terminal, the freight company will load your order into the bed of the truck with their forklift. The most common pallet size = 65" X 44" (Height depends on Product). Be sure and check for hidden damage. 3920W Enphase Kit; The Enphase system maximizes energy production from your 245 watt solar panel array using some very simple principles. Each Enphase microinverter is individually connected to one solar panel in your array. This unique configuration means that an individual Maximum Peak Power Point Tracker (MPPT) controls each solar panel. This ensures that the maximum power available from each solar panel is exported to the utility grid regardless of the performance of the other solar panel in the array. That is, although individual 245 watt solar panels in the array may be affected by shading, soiling, orientation, or solar panel mismatch, the Enphase microinverter ensures top performance for each panel. The result is maximum energy production from your solar array. Our 3920W kit is relatively simple to layout and install. You will not need string calculations, just keep your string to a maximum of 17 245 watt panels, and you can install individual solar panels in any combination of solar panel quantity, type, age and orientation. Each microinverter quickly mounts on the roof or ground rack (optional), directly beneath each solar panel. Low voltage DC wires connect from the solar panel via waterproof MC4 connectors directly to the co-located microinverter. 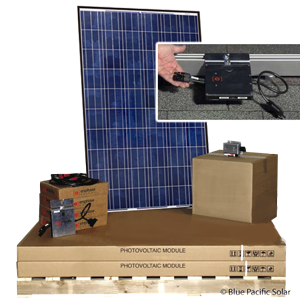 Blue Pacific Solar has provided all of the main parts you will need for your 3920W solar kit. Here are some additional items that your may need prior to installing your solar kit. Conduit, appropriately sized electrical wire, some fasteners and grounding rod and wire. Building and installing your own home solar system is not only the smart choice for controlling your expenses, it may be on the most satisfying DIY projects you ever have undertaken. NOTE, IMPORTANT 3920W Watt Grid Tied Solar Kit INSTALLATION: (OK, here is the scary legal disclaimer.) It is the responsibility of the purchaser to ensure that all products are installed and operated in accordance with local and national building codes as specific by the NEC (National Electric Code), UBC (Uniform Building Code) or IBC (International Building Code) and local utility company policy. These codes may vary from city to city and county to county. All Grid-tied solar installations should be permitted and inspected, where required, by the local inspection authority in the same manner as other equivalent electrical systems. One last thing. It is always a good idea to contract with a local licensed electrician to at least do the final electrical connection of your 3920W Watt Grid Tied Solar Kit from the AC disconnect to your home utility breaker box. Some local permitting authorities require that a licensed electrician do all the wiring from the rack to the utility interconnect. 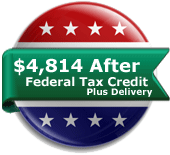 If you need help with the permitting documents for your 3920W solar kit, we are here for you. Solar permit service add on is available at checkout. Additional Safety Instructions, 3920W Watt Solar microinverter Kit; Perform all electrical installations in accordance with all applicable local electrical codes and the National Electrical Code (NEC), ANSI/NFPA 70. Be aware that only qualified personnel should install or replace Enphase microinverter. Do not attempt to repair the Enphase microinverter in your 3920W Watt Solar Kit; it contains no user-serviceable parts. If it fails, please contact Enphase customer service to obtain an RMA (return merchandise authorization) number and start the replacement process. Tampering with or opening the Enphase microinverter will void the warranty. Before installing or using the Enphase microinverter, please read all instructions and cautionary markings in the technical description and on the Enphase microinverter System and the solar equipment. Connect the Enphase microinverter to the utility grid only after receiving prior approval from the electrical utility company. Be aware that the body of the Enphase microinverter is the heat sink. Under normal operating conditions, the temperature is 15°C above ambient, but under extreme conditions the microinverter can reach a temperature of 80°C. To reduce risk of burns, use caution when working with microinverter. Do NOT disconnect the solar module from the Enphase microinverter without first removing AC power. This microinverter Kit is an affordable, cheap high quality solution for your home or businesses energy independence. Reducing on-site labor requirements, the 3920W Watt Solar microinverter Kit can be expanded at anytime which makes it a cost effective solution.